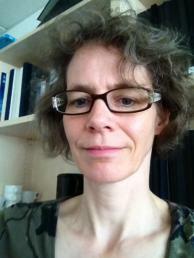 Dorothee Bohle is an associate professor of political science at Central European University, Budapest, and currently a visiting professor at University of Osnabrück. Previously, she was a junior research fellow at the Social Science Research Center in Berlin. She held numerous visiting positions, including at the Center for European Studies at Harvard University, Carleton University, University of Florida, and the Department of Political and Social Sciences at the European University Institute in Florence. She holds a PhD from Free University of Berlin. Her research interests include European integration and eastern enlargement, and the comparative political economy of East Central Europe. (2014) ‘Post-Socialist Housing Meets Transnational Finance: Foreign Banks, Mortgage Lending, and the Privatization of Welfare in Hungary and Estonia’, Review of International Political Economy 21(4): 913-948. (2012) Capitalist Diversity on Europe’s Periphery, Ithaca: Cornell University Press. Co-authored with B. Greskovits. (2011) ‘An Elusive Region: East-Central Europe in the Crisis’, Perspectives on Europe, 41(2): 34-39. (2011) ‘East European Transformation and the Paradoxes of Transnationalization’, in J. DeBardeleben and A. Hurrelmann (eds),Transnational Europe: Promise, Paradox, Limits, Basingstoke: Palgrave Macmillan. (2007) ‘The State, Internationalization, and Capitalist Diversity in Eastern Europe’, Competition and Change 11(2): 89-115. Co-authored with B. Greskovits. (2007) ‘Neoliberalism, Embedded Neoliberalism, and Neocorporatism: Towards Transnational Capitalism in Central-Eastern Europe’, West European Politics 30(3): 443-466. Co-authored with B. Greskovits. (2009) ‘Race to the Bottom? Transnational Companies and Reinforced Competition in the enlarged European Union’, in B. van Apeldoorn, J. Drahokoupil and L. Horn (eds), Neoliberal European Governance and Beyond – The Contradictions and Limits of a Political Project, Basingstoke: Palgrave Macmillan, pp. 163-186.